A Three Kingdoms-based multiplayer online battle arena has long been over due. 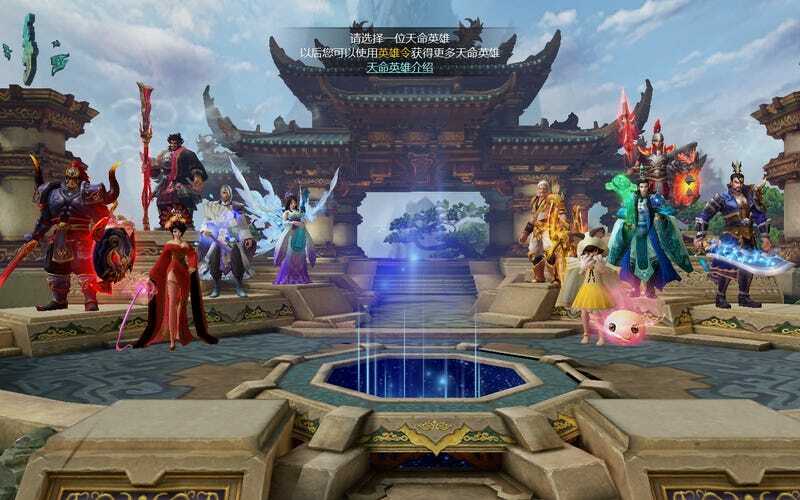 However, NetEase's attempt at creating a Three Kingdoms MOBA with Heroes of Kingdoms leaves much to be desired. Ever since I started playing China's various League of Legends and Defense of the Ancients clones, I've been expecting a Three Kingdoms-skinned version of it. The psuedo-historical novel Romance of The Three Kingdoms provides great source material for a MOBA-style game. With its distinct and larger than life characters and its historical context, it has all the elements to make a good MOBA game. When I first looked at Heroes of Kingdoms, I thought the wait was over. Sadly... I was wrong. NetEase's latest game, Heroes of Kingdoms, isn't exactly a bad game. It works. It's a solid League of Legends clone even though it calls itself a DOTA style game. Think of it this way: you have a map with lanes, you have heroes which are basically champions, you have tiny insignificant minions, and nexuses to destroy. Being a skinned-over LOL aside, Heroes of Kingdoms has some unique elements to it. The game has the player create an avatar and have it interact with other players in towns, hold stalls and initiate trades — pretty much all of your standard MMORPG fair, apart from slaying monsters. However, these elements do not really impact the core elements of gameplay—the MOBA itself. If you just take it as a Three Kingdoms-skinned LOL, the game works, however if you're expecting anything more from it, you'll be disappointed. Personally, I still prefer the super-copyright-infringing LOL ripoff 300 Heroes, which has all of the Three Kingdom characters—in addition to having literally every hero imaginable. If you're interested in trying out the game, you can do so! Unlike most Chinese games that require a Chinese ID, anyone can register to play Heroes of Kingdoms.